The fact of the matter is everyone needs a place to stay and call home, whether you should rent a home or buy a home depends on a number of different factors. For those who plan to be in one location for some time and will not be changing jobs that involve long distance moves, they may be better off with buying a home. On the other hand someone who is only staying in an area for a short while, home ownership may not make sense for them. 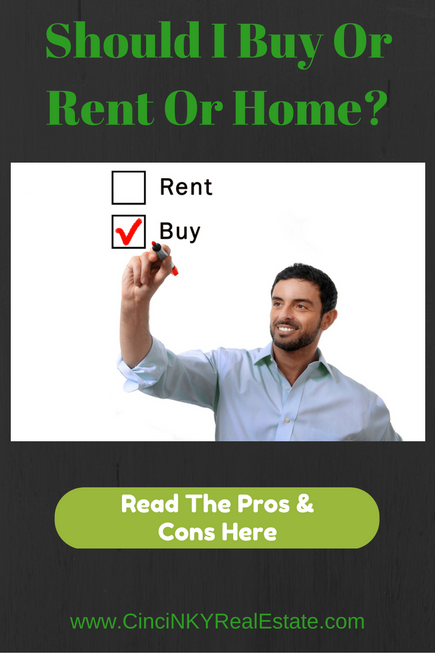 This article explores in depth the decision to buy or rent a home and the advantages each has. Buying a home provides many advantages that are not available to renters. One of the biggest advantages you get from owning a home is the ability to deduct your property taxes and mortgage interest on your tax returns which could result in great savings on your yearly tax bills. In the case of a rental home the owner of that home gets the advantage of deducting the tax bills and mortgage interest on their tax bill, you as the renter do not get to deduct your rental payments on your tax bill. As a homeowner you are able to decorate, remodel and adjust your home as need be with the only exception of complying with local zoning and building laws. This means if you want to add a bathroom to your home you can do so and the only permission you will need are building department permission (depends on your local rules and regulations) and possibly from your lender if you intend to borrow money to do the addition. As a result of making the addition your home may also realize a boost in home value. 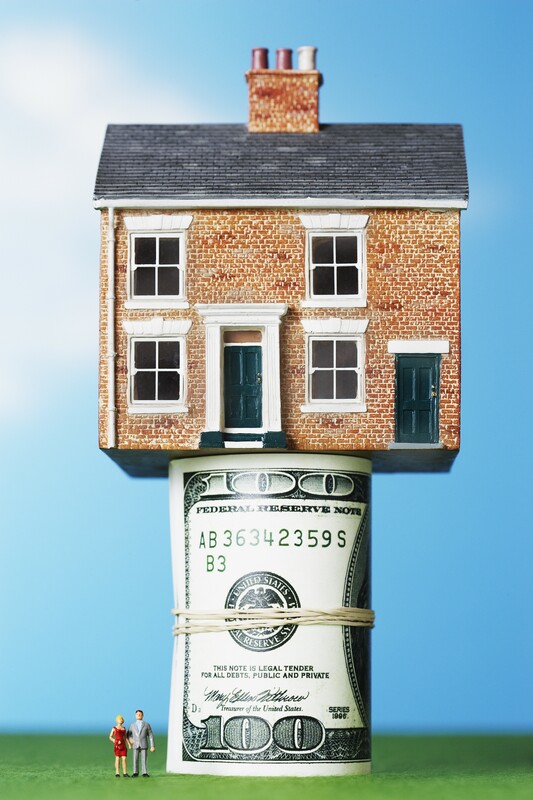 That leads to another big advantage of owning a home, home equity. Home equity is the value of your home minus the actual amount you owe on your mortgage. As you build equity in your home or if you buy a home with enough of a down payment that there is equity in the home you can borrow money from a bank based on that equity. Usually home equity loans will have good interest rates since the loan is secured by your home and the interest you pay on the home equity loan may be deductible on your taxes just like interest on your mortgage is deductible. The true beauty of home equity is that it builds up over time as you pay down your mortgage and you may also get some gain in your home through price appreciation that can mean more money for you when you ultimately do sell the home. While the home equity loan may seem easy to borrow with, it is still something you should use sparingly and only when you really need it. The last thing you want to have is an over leveraged home that requires you to bring money to the closing table when it comes time to sell. If the selling price of your home is not greater than the amount of the loans you have out on your home then you will have to pay off those loans first before you can sell. In your own home you have all the privacy you desire. A landlord will not be coming around to make routine inspections or checking over how you are living and your impact on the building. If you want pets in your home you don’t have to pay any extra pet deposit fees or extra monthly fees on top of your mortgage for the privilege of keeping your pets. There will be no pet quantity, size or breed (you may have local community law restricting certain breeds) restrictions for you in a home you own. If you plan to be in an area for two years or less then with buying a home you will not likely be able to recover all the expenses there are to buy a home. In order to buy a home you will be paying home inspection fees, appraisal fees, recording fees, other fees associated with getting a mortgage, and closing fees on the purchase of a home. Within two years or less of owning a home you are unlikely to see the home value go up enough that you will come out ahead after selling the home and then adding on fees that come when it is time to sell the home. Home selling fees/cost include Realtor commissions, preparing the home to sell with expenses for carpet cleaning, painting, landscape clean up and more as required to bring your home to a sellable condition. Another disadvantage for home ownership is the fact that anytime something goes wrong you as the homeowner will be responsible for making sure it is repaired. If your HVAC goes out and a new HVAC is required the expense for a new HVAC runs in the thousands of dollars. Routine plumbing issues must also be dealt with right away so further problems of water damage or mold doesn’t put your house in a worse condition. As the home owner it will be your responsibility to make sure everything in the home is maintained and the expense to maintain it will be yours absent some type of home warranty. Apartments can be rented for a short term with some apartments allowing month to month leases so if you really are in an area for a short while a month to month lease allows you the flexibility of moving out whenever you need with only minimal notice. While the rental rates for month to month leases are generally higher than longer term leases the ease with which you can move out with minimal costs far outweigh home ownership or long term leases. With an apartment pretty much all your maintenance needs are taken care of. If your heater goes out you can call your landlord to fix it. If the plumbing starts to leak the landlord will take care of it. So long as you are not the one causing the issues with the apartment anything that needs repairing to keep the place in livable condition is the landlord’s responsibility and expense, not yours. With a rental apartment any landscaping matters including mowing the lawn, applying fertilizer, maintaining plants and trees is the responsibility of the landlord. The landlord will also keep the walkways clean and free of snow and ice during the winter months. With a rental home you may or may not be responsible for the landscaping and other outdoor features, this will depend on the terms of your lease that you negotiate with your landlord. With an apartment or rental home in order to do something simple like paint the walls different colors you may need the landlord’s permission. 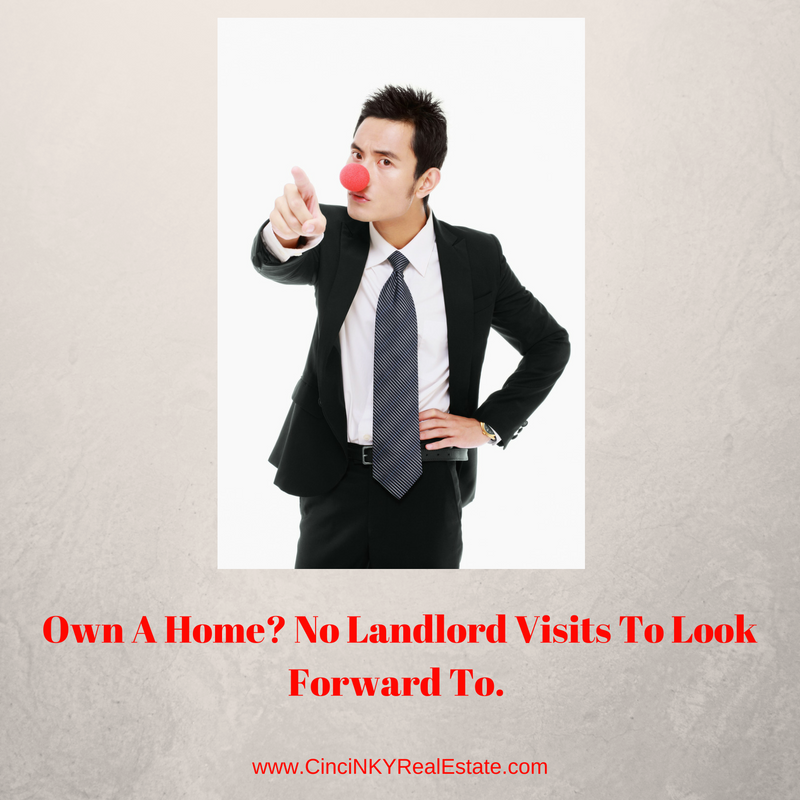 You are unlikely to get the landlord’s permission to add a bathroom onto a rental home and even if you did get that permission the landlord will not want to pay for the addition since the rental house rents out just fine in its current configuration. Since you as the renter would not realize any value gain on a rental home it does not make sense for you to undertake the addition and certainly no bank would lend you money for the addition since you do not own the property. Each month you pay rent you are not getting any equity in the building you are living in. The equity in the building goes to the landlord or building owner. Any rent you pay is not tax deductible. Appliances and mechanical systems generally are not replaced until they are completely worn out which means old non energy efficient furnaces, air conditioners, appliances which may be present in the building you rent will cost you more money to operate in terms of the electricity bill. The decision to buy or rent a home depends on the time frames you will be staying in a particular area. If your employment requires you to move around frequently or you plan on changing jobs to better opportunities in different areas then renting may be a better option for you. On the other hand if you plan on staying in one place for a while and even your job changes will be local home ownership may be your better option since the tax advantages of home ownership can help you save money in the long term. About the author: The above article “Should I Buy Or Rent A Home?” was provided by Paul Sian. Paul can be reached at paul@CinciNKYRealEstate.com or by phone at 513-560-8002. If you’re thinking of selling or buying your investment or commercial business property I would love to share my marketing knowledge and expertise to help you. Contact me today! It's great to see you make the debate more than about money. I feel like all of those "rent vs buy" articles simply boil it down to money, but sometimes it's not about price. A home -- even if more expensive than renting -- offers a lot that apartment living can't.